The revolution will be hashtagged. When HBO announced that it would be producing a show that imagines slavery in present day America called Confederate, reactions were nothing short of skeptical. Despite the massive backlash, the network has remained firm on standing behind the show and proceeding with development. April Reign, the creator of the viral hashtag #OscarsSoWhite, is rising up and using her platform for a new social media campaign to call out the problematic project. "We would like HBO to cancel #Confederate and instead uplift more marginalized voices with a different series," she told CNN. "The commodification of Black pain for the enjoyment of others must stop." Reign has proposed that everyone tweet #NoConfederate during the next episode of Game Of Thrones airing on July 30 at 9:00 p.m. EST. The purpose of the protest is for people to send a message about their legitimate concerns directly to the showrunners of the franchise who also happen to be the creators of Confederate. "Earlier this month, there were protests about taking down Confederate monuments," added Reign. "The prison industrial complex is bursting with Black and brown people, disproportionate to the crimes committed. So, for some, Confederate is not 'alternate history,' but a painful and recent reminder of how much further we still need to go for true equality in this country." HBO programming president Casey Bloys insisted that the show is "not whips and plantations," but rather "what they imagine a modern day institution of slavery would look like" during a press tour in Beverly Hills, California for the Television Critics Association. He also thinks that HBO's biggest mistake was how they chose to handle the announcement because "an idea that is so sensitive and requires such care and thought on the part of the producers," which he felt was "misguided." The producers of Confederate publicly defended the show in an interview with Vulture that was published this month. Roxane Gay recently expressed her disapproval of the show in an op-ed for the New York Times. "My exhaustion with the idea of Confederate is multiplied by the realization that this show is the brainchild of two white men who oversee a show that has few people of color to speak of and where sexual violence is often gratuitous and treated as no big deal," she writes. "I shudder to imagine the enslaved black body in their creative hands. And when I think about the number of people who gave this project the green light, the number of people who thought this was a great idea, my weariness grows exponentially." 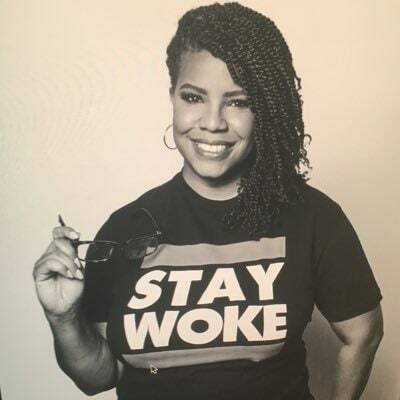 Reign added that she is "not calling for a boycott of Game of Thrones or the cancellation of HBO subscriptions," but "will not rest until Confederate is scrapped." Learn more about Reign's mission in the series of tweets, below. My sisters in the #NoConfederate campaign are @FilmFatale_NYC, @ShanelleLittle, @iamlaurenp & @JamieBroadnax of @BlackGirlNerds.